Did we miss any? Let us know in the comments? Read any of them? Let us know what you thought! 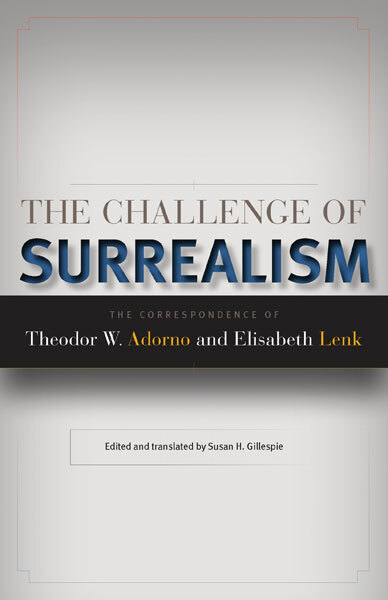 “The correspondence between the philosopher Theodor W. Adorno and his politically active graduate student Elisabeth Lenk offers fresh insights into both Adorno’s view of surrealism and its relation to the student uprisings of 1960s France and Germany. 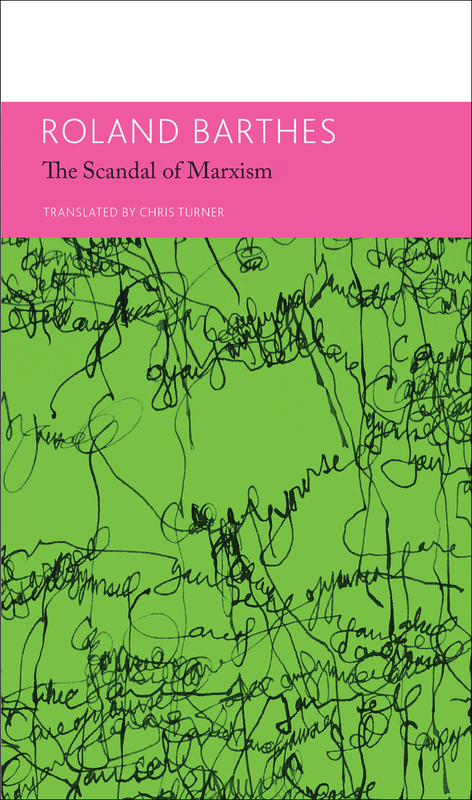 Written between 1962, when Lenk moved to Paris and persuaded an initially reluctant Adorno to supervise her sociology dissertation on the surrealists, and Adorno’s death in 1969, these letters reveal a surprisingly tender side of the distinguished professor. The correspondence is accompanied by a selection of documents that bring additional depth and context to the letters and their engagement with the art and politics of the period. 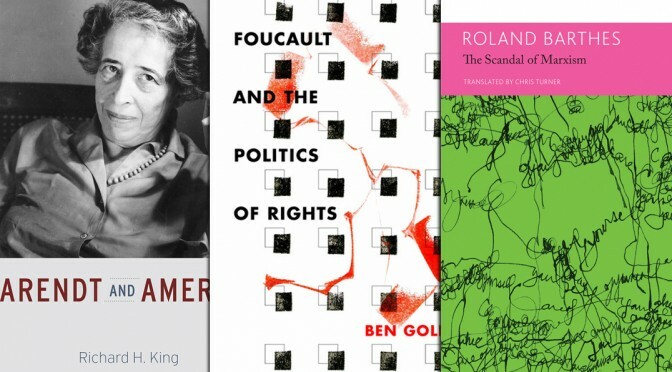 “German-Jewish political philosopher Hannah Arendt (1906–75) fled from the Nazis to New York in 1941, and during the next thirty years in America she wrote her best-known and most influential works, such asThe Human Condition, The Origins of Totalitarianism, and On Revolution. 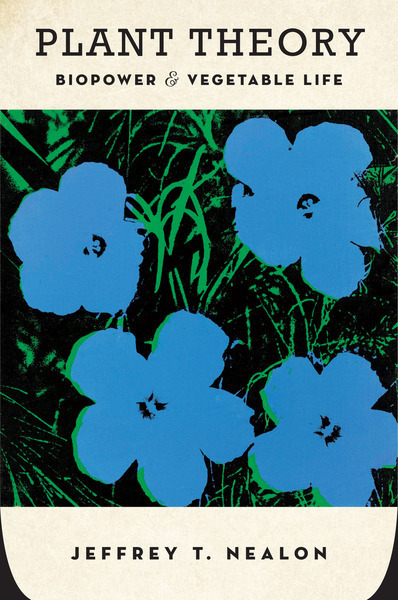 Yet, despite the fact that a substantial portion of her oeuvre was written in America, not Europe, no one has directly considered the influence of America on her thought—until now. 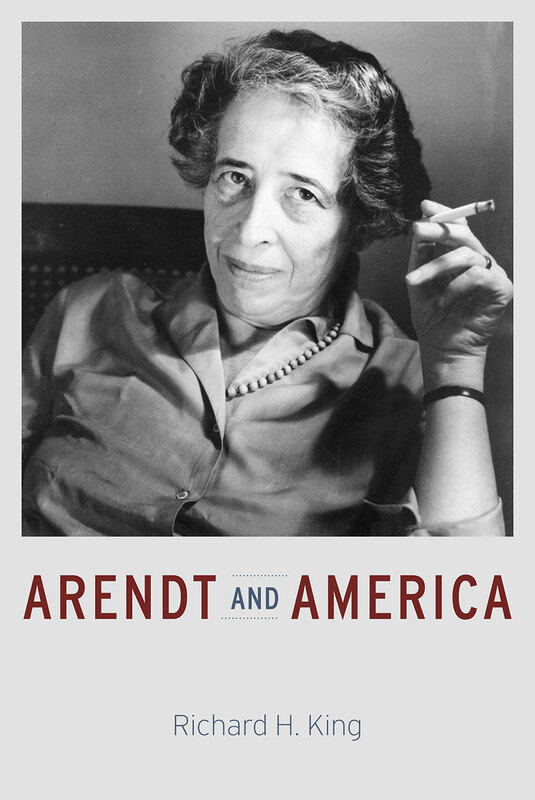 In Arendt and America, historian Richard H. King argues that while all of Arendt’s work was haunted by her experience of totalitarianism, it was only in her adopted homeland that she was able to formulate the idea of the modern republic as an alternative to totalitarian rule. “Are sciences of history relics of an abandoned modernism? 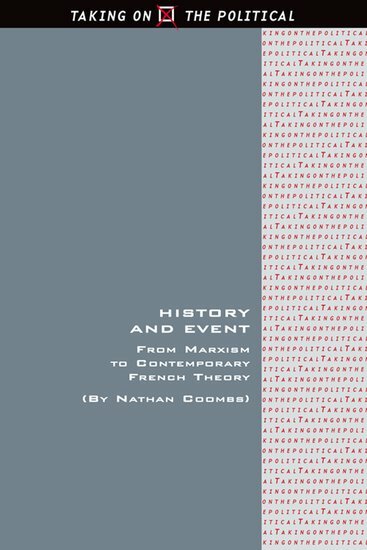 Nathan Coombs demonstrates that the Marxist science of history has been reimagined by a strand of contemporary French theory after Louis Althusser. 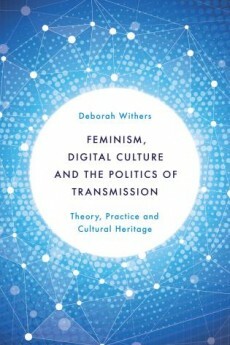 Taking a comparative approach, Coombs explores the technical details of both traditions’ historical sciences. 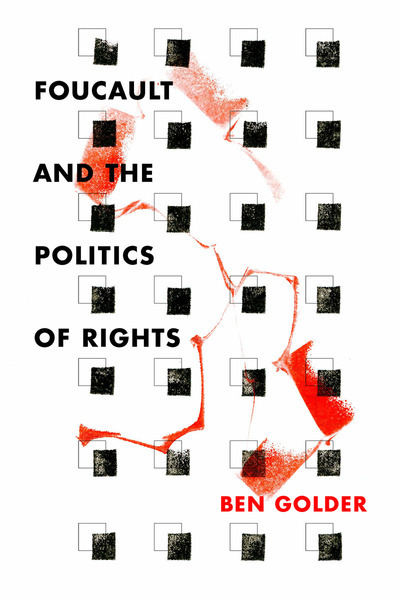 He argues that their articulations of history and event affect how we approach political transformation and view the role of theoreticians in political practice. “Roland Barthes, whose centenary falls in 2015, was a restless, protean thinker. A constant innovator, often as a daring smuggler of ideas from one discipline to another, he first gained an audience with his pithy essays on mass culture and then went on to produce some of the most suggestive and stimulating cultural criticism of the late twentieth century, includingEmpire of Signs, The Pleasure of the Text, andCamera Lucida. In 1976, this one time structuralist outsider was elected to a chair at France’s preeminent Collège de France, where he chose to style himself as professor of literary semiology until his death in 1980. “For more than a century, Nietzsche’s views about Jews and Judaism have been subject to countless polemics. The Nazis infamously fashioned the philosopher as their anti-Semitic precursor, while in the past thirty years the pendulum has swung in the opposite direction. The increasingly popular view today is that Nietzsche was not only completely free of racist tendencies but also was a principled adversary of anti-Jewish thought. Nietzsche’s Jewish Problem offers a definitive reappraisal of the controversy, taking the full historical, intellectual, and biographical context into account. As Robert Holub shows, a careful consideration of all the evidence from Nietzsche’s published and unpublished writings and letters reveals that he harbored anti-Jewish prejudices throughout his life. Nietzsche’s Jewish Problem demonstrates how this is so despite the apparent paradox of the philosopher’s well-documented opposition to the crude political anti-Semitism of the Germany of his day. As Holub explains, Nietzsche’s “anti-anti-Semitism” was motivated more by distaste for vulgar nationalism than by any objection to anti-Jewish prejudice.